Submission of abstracts for IALP Dublin 2016 is NOW CLOSED. You must register your profile with the abstract system in order to develop and finally submit your abstract for IALP Dublin 2016. You may submit and be listed as an author on more than one abstract. 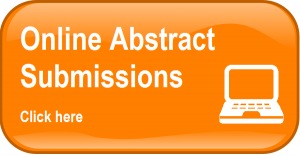 If you are submitting more than one abstract you must use the same login details for each abstract. Abstracts may be submitted for oral, poster, workshop or panel presentation. Click to see the topics/ formats. Please note: IALP standing committee abstract submissions must select the ‘IALP Standing Committee’ option. Members of IALP standing committees may also submit their own individual work separately. Abstract submissions will be accepted until midnight (GMT) EXTENDED DEADLINE UNTIL 22nd January, 2016. You may continue to edit your abstract online until this time. Please note: Late submissions and/or further edits to abstracts will unfortunately not be accepted after this time. Author names are entered in the author section during the submission process. Do not include author names in the title or body of your abstract. Note all submissions must be in English and no simultaneous translation is provided. Notification of accepted or declined submissions will be on 11th March, 2016. Note: IALP would like to encourage presentations that advance the priorities of the WHO collaborative plan. Click here for further detail. Click here to download the full Abstract Submission Instruction Document or click on the learn more links below. 4.0 I need assistance please?